“Airbags” are a proposition for a format, or better a process, to incorporate or sculpturalize flexibility, the ever required almost instantaneous adaptation to fit an abundant number of situations, conversations, discourses, selection criteria, etc.. They are a series of explosive blow-up sculptures with a narrative character. They are wrapped up in small bags and can be attached to ankles, wrists, belly or neck. Unlike airbags in cars they are not triggered automatically, but can be activated at a specific moment – be it out of a need or an impulse. “Social Airbags” are deployed by pulling a handle and get fully blown up within seconds. As instantaneous short-term unfoldments, they serve, depending on the situation, as extensions to specific conversations, as signals for interests and abilities, as subversive interventions into everyday events, as spontaneous outburst and more. Yet they do not fit in every situation and must be used with care. They unfold their full potential and narrative when deployed at the right moment with the right twist. 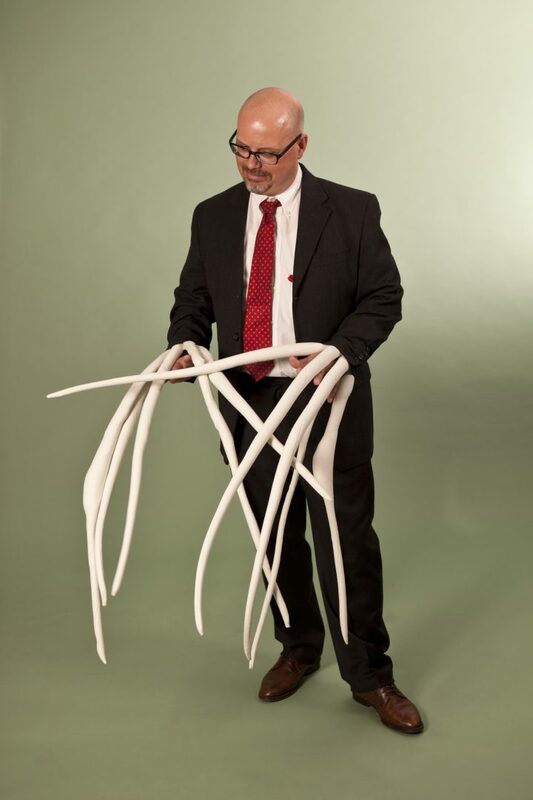 “Uncanny Hug” is a combination of multiple long, thin and twisted airbags that can shoot out of both sleeves of a jacket. They are like fingers that are extruded and rotated around their longitudinal axis. Yet they are not organized like the fingers of a hand. 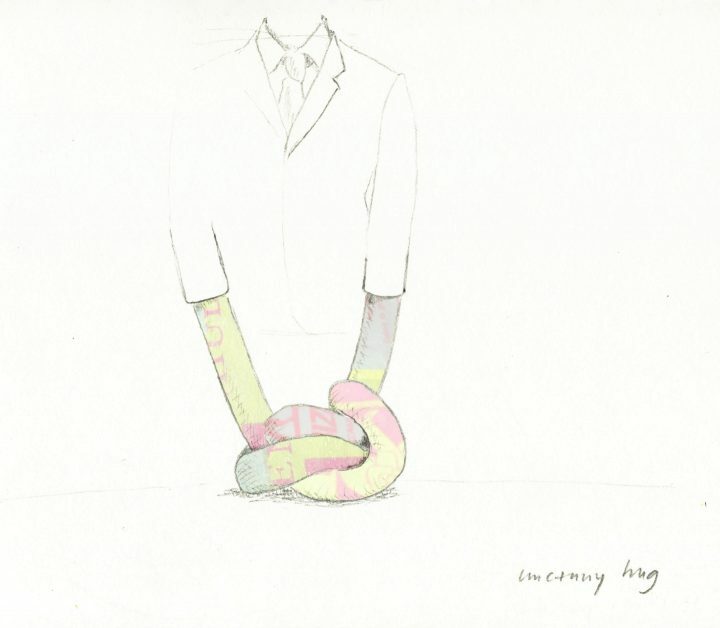 The airbags of “Uncanny Hug” spread out from the sleeves in many directions. Once deployed they make a handshake rather impossible and cast a shadow on most forms of physical contact. 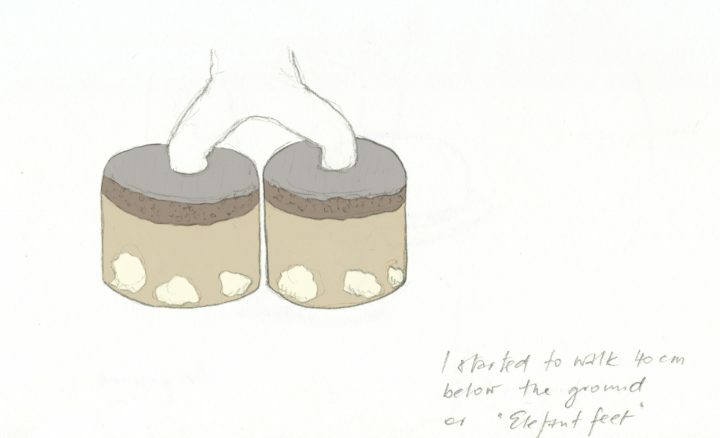 “Elephant Feet or I started to walk 40cm below the ground” is a pair of airbags of equal size and form. They are worn around the ankles until they inflate and expand from underneath trousers or long skirts. “Elephant Feet” wrap the wearer‘s lower legs into columns of a diameter of 50cm from sole to knee, turning walking into a experience of shuffling through knee-high asphalt. 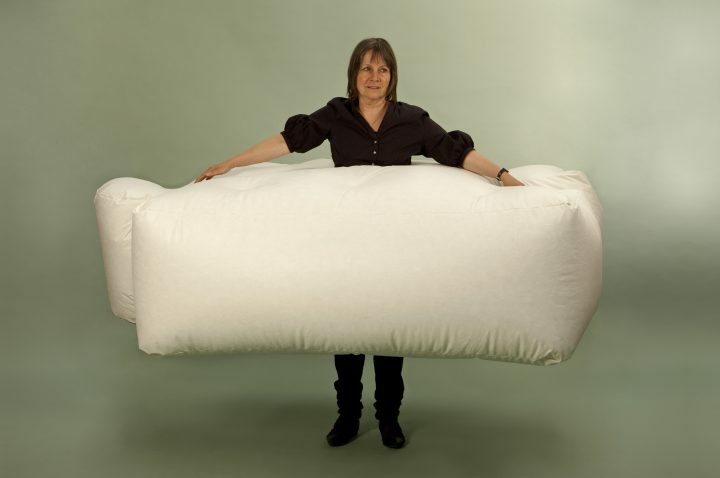 “The Brick” is the largest Airbag so far. It is worn around the waist like a cummerbund or broad sash. Fully inflated, it resembles a huge puzzle piece or a human body with short legs and head hanging perpendicular to the wearer‘s main body axis. It turns from an elegant piece of clothing into an obstacle that revolves around the center of the body. Several “The Brick”s can be attached together in rows to form a wall, or they can serve as protection not only for the individual wearer but for larger groups, making them more difficult to be handled or to be pushed around. “You try to put me in a box?” consists of a changing number of small Airbags in the shape of bubbles – almost resembling heads. Before they are inflated, they are almost invisible, worn like a scarf around the neck. During inflation they emerge in a flash out of the collar on all sides of the wearer’s neck. 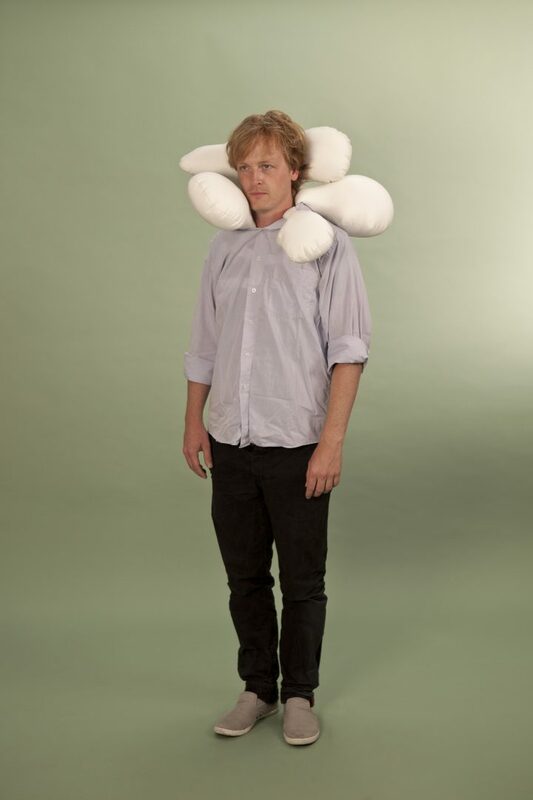 The human blow-up heads – slightly smaller than real ones – start to flutter between shoulder and ear as if a terrified rabbit had ejected replicas of himself as decoys to facilitate his getaway. Produced with a production grant of Cultivamos Cultura for the exhibition “Emergências 2012“, Guimaraes, Portugal. © 2018 Roman Kirschner - This work is licensed under a Creative Commons License.